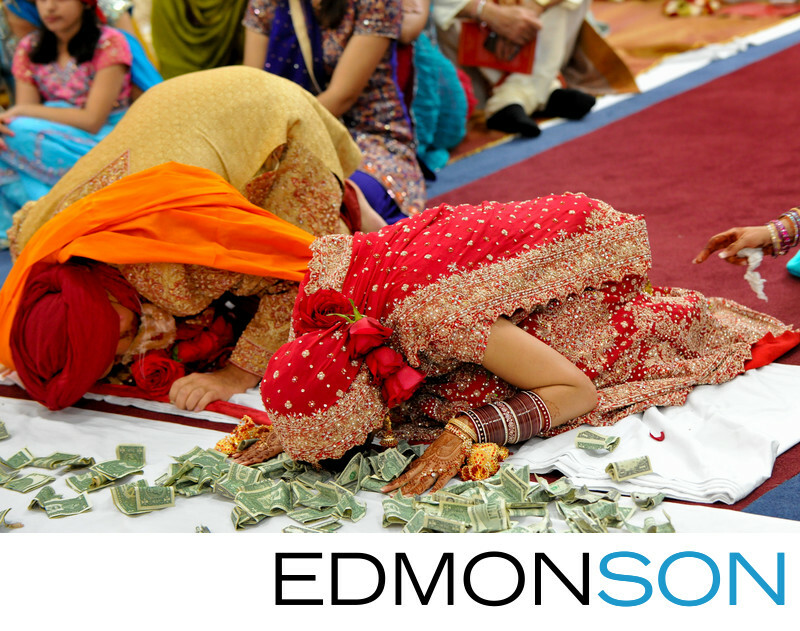 Sikh couple bow during wedding ceremony at North Texas temple. Location: Sikh Temple of North Texas. 1/125; f/3.2; ISO 1600; 95.0 mm.